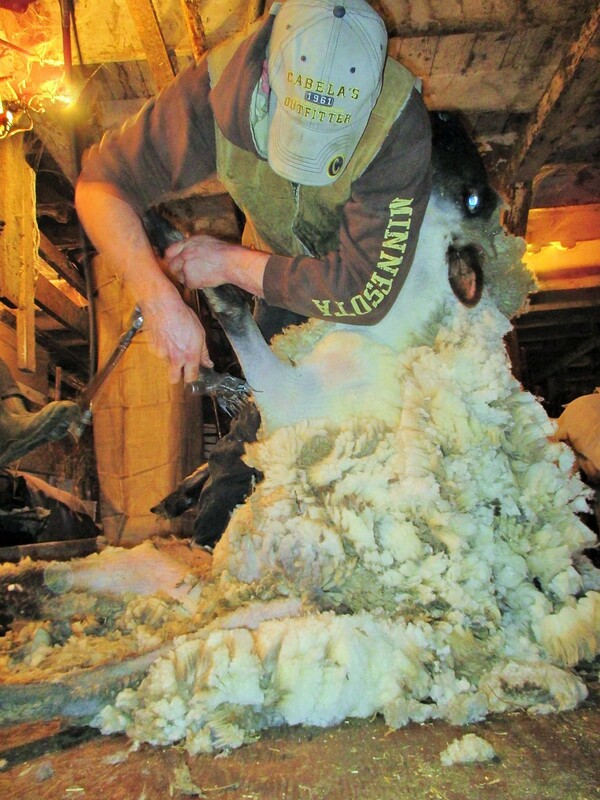 Nice method of shearing. 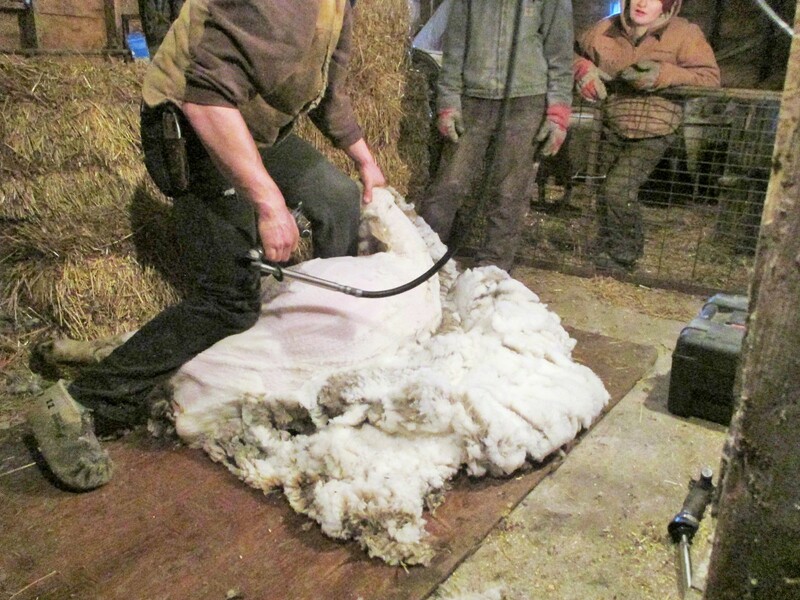 There’s a pattern to this shearing every time. Yesterday was sheep shearing day. I haven’t seen Clayty shear any sheep since this time last year and I have to say I was pretty impressed!! He’s gotten really fast. 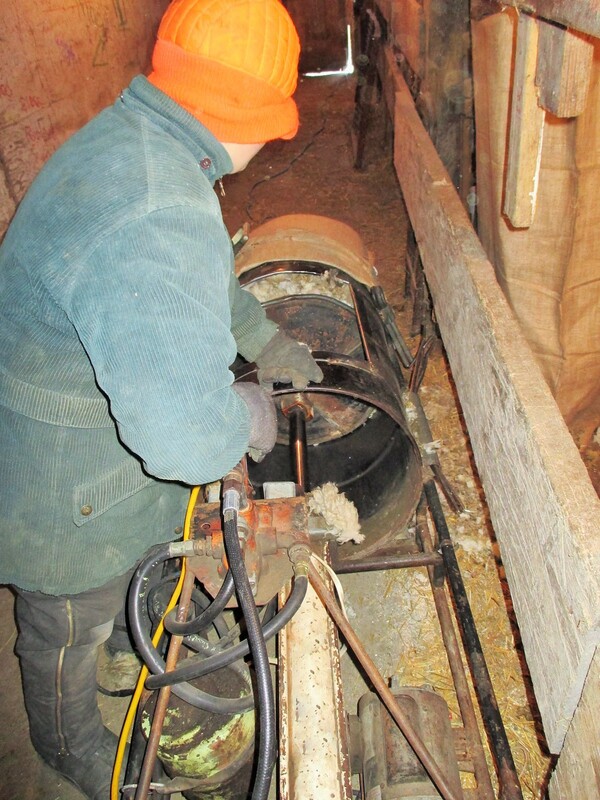 He worked his tail end off because our sheep are large and their wool is super thick. Caleb caught sheep for him while Mario and Fred packed wool. 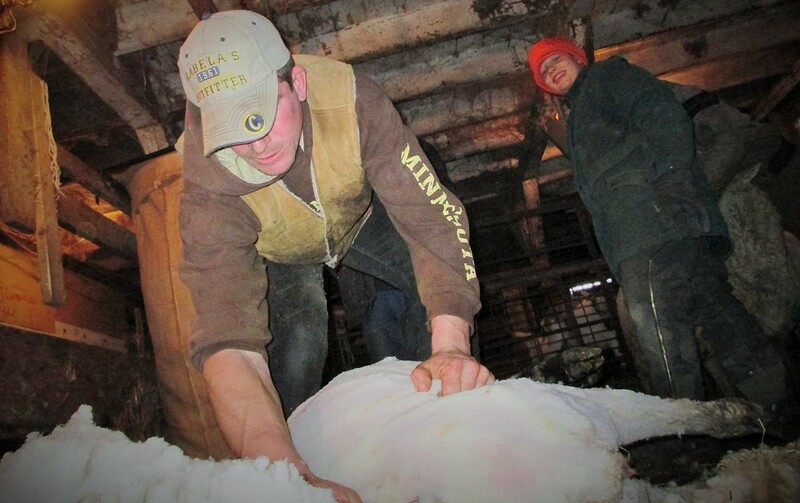 Clayton shearing while Mario waits for the wool! Nice clean job of shearing. 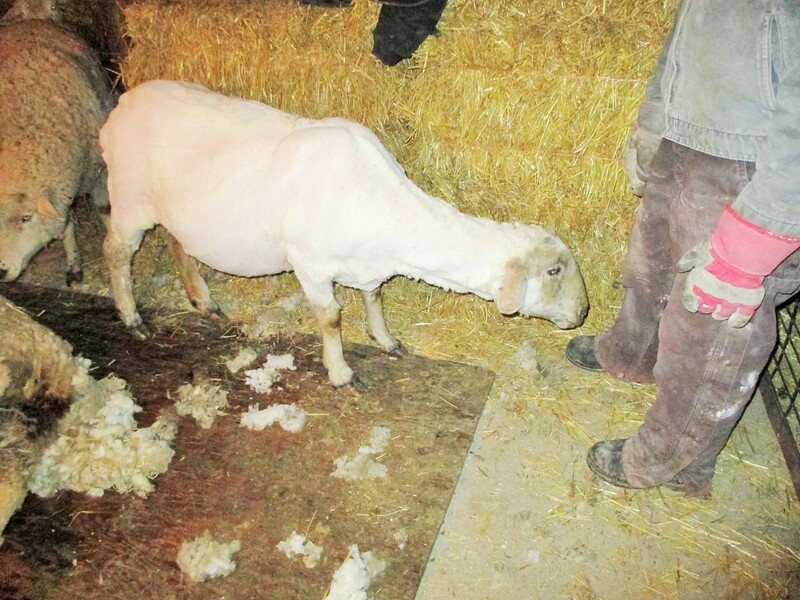 A beautiful birthday suit for this bred ewe, due to start lambing around April 6! Mario is in charge of packing the wool. He does a great job! Caleb’s job was catching for Clayton. Fred hand packed the darker type wool. That kind of wool brings less money. 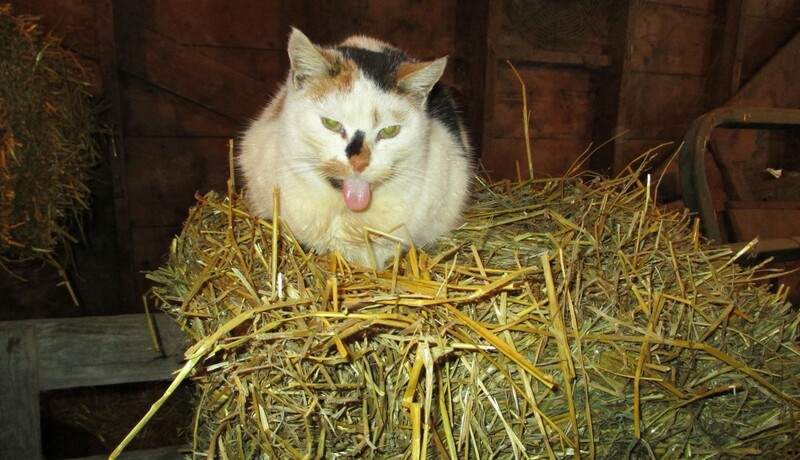 This cat sat watching with her tongue out the entire time. When it was all said and done, we had a nice meal and Fred welded some extra part on the packer machine to improve the way it works. I sent Clayton home with two apple pies. Hey, what comes around goes around after all! 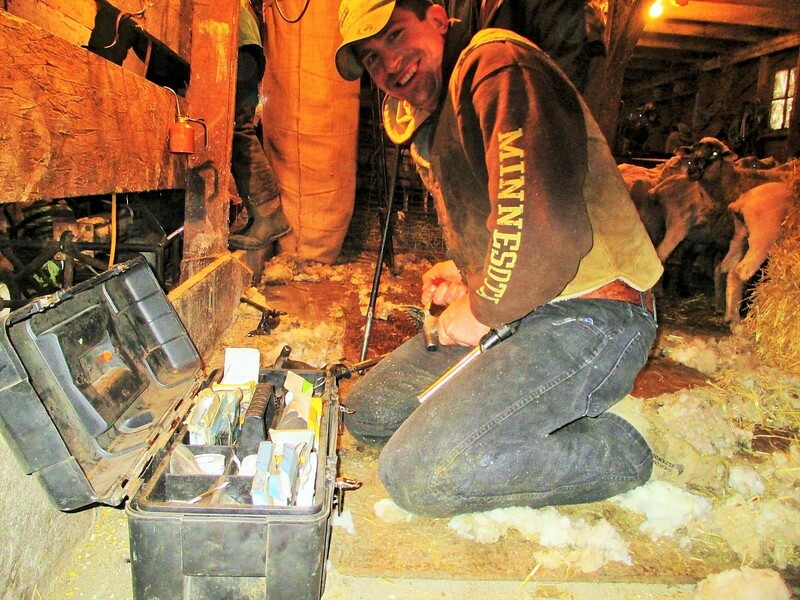 This entry was posted in LIVESTOCK and tagged Clayton Callens sheep shearer. Bookmark the permalink. I think it’s great what you all are doing. We need more Catholics out on the land. I myself would like to get some land someday and am planning on getting married this June. Could I send you an email asking some questions about how you made it work?